Zoe is a huge help at the emergency clinic I work at. She loves coming to work (I got her there as a 2 day old puppy that was dumped) and I think she knows she’s helping! 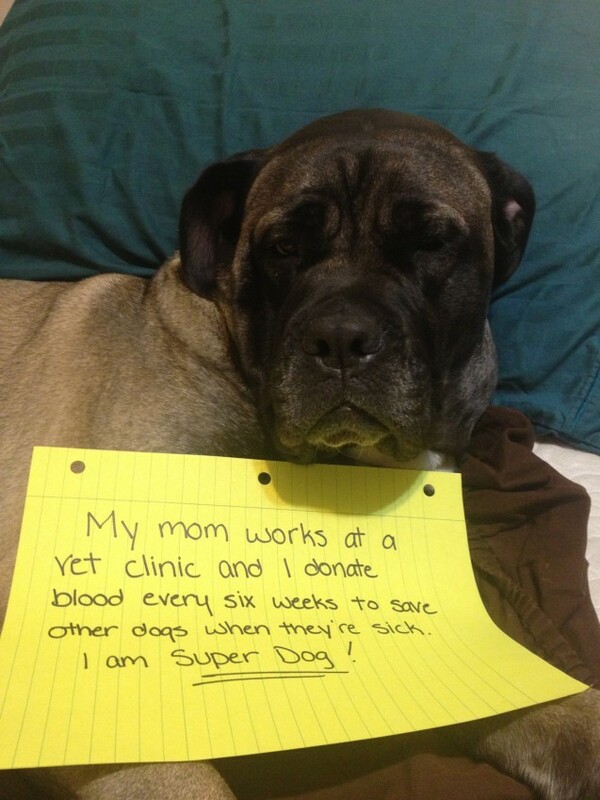 She donates blood for transfusions and has saved many dogs with her super blood. Posted September 23rd, 2013 . Another pup for the Kiss and Hug list ..
That is TOTALLY a Super Dog! WTG sweet face! that is so awesome … and look at that face! You’re a hero, Zoe! Thank you! A couple years ago, my dog was sick and needed 3 blood transfusions. She pulled through and recovered completely. Zoe, you and dogs like you are my heroes! Thats fantastic..! You are awesome Zoe and your mom for having you do it! Thank you Zoe! You are amazing and cute as a bugs ear! Is it true that dogs and cats do not have the “blood types” of humans – as in dogs or cats are universial donors for their species? Makes me wonder why humans evolved blood types? Dogs have two blood types, DEA positive or negative. Zoe is a universal donor, but not all dogs are. Oh and PS: Zoe you are a SUPER Dog – thanks for your help! You really are a super dog Zoe!! Oh Zoe, you certainly are super dog. Your mom is super as well for rescuing you. You are both super heroes in my book. Bless your hearts. Super Zoe!! You go girl!!! Bless your Mom for your rescue and bless you for your monthly donation!! Great job Zoe!!! You AND your Mom are awesome! AWESOME! Way to go Zoe and your Mom too!! You put me to shame Zoe! 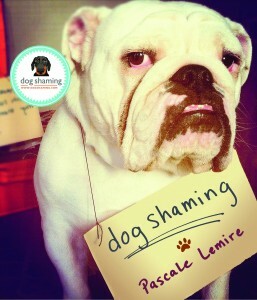 What a remarkable gal and owner for thinking of others! What an amazing dog and owner. Thank you for everything you do.